Clearer Audio Copper-line Alpha (optical) review | What Hi-Fi? 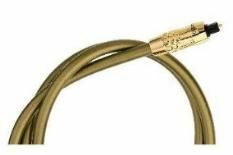 We looked at the Clearer Audio Copper-line Alpha digital coaxial cable a couple of years ago, and it's now finally been joined by an optical sibling. Sporting a copper-coloured finish the cable is sturdily constructed but flexible with it – ideal for connecting to those hard to reach inputs. As our review of the True Colours Industries Coral optical cable proved, you can expect a high level of performance from a £35 connection. The Copper-line Alpha shaves ten pounds off the price but takes with it plenty more by way of performance. Dynamics, punch, insight and clarity are all lacking by comparison to the very best, and there's a hint of brightness to dialogue, too. We'd suggest you spend the extra for the TCI lead.